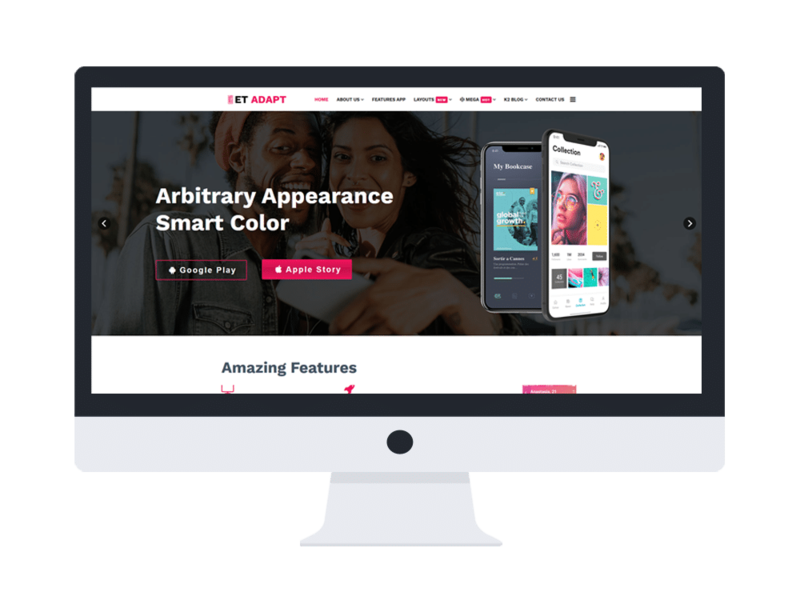 ET Adapt is a brand new App Joomla template which is specially designed for app developers to showcase the most wonderful apps they build. The increase of app users cannot be denied and you will need an impressive website look to attract people attention, to compete with a large number of other competitors. Then ET Adapt is a good choice. The content organization of this theme is amazing, so you just need to change content and make it completely yours, with full of powerful features and high-quality images. Developed based on the modern Helix Ultimate framework, SP Page Builder supporting Font Awesome, K2 extended style and many widgets and modules, this theme is fully customizable to make any change you want. Never miss this!